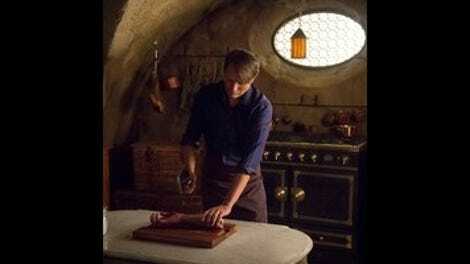 Hannibal, as we learn, understands an important rule: You can never go home again. One of the reasons I’ve always been attracted to Hannibal as a villain is because he was so mysterious that I never really wanted to know where he came from, what his origin story was. In all of his portrayals, he’s an otherworldly being, so advanced beyond the other characters. He’s so inherently evil that a lot of his power, a lot of what made him so scary, was based in the not knowing. If I didn’t know where he came from, what made him what he was, then it had to be worse than anything I could imagine. Not only that, I didn’t want his evil justified or explained away. (The same could be said for other great characters that aren’t evil at all. The Man With No Name immediately comes to mind). It’s one of the reasons I stayed away from Hannibal Rising, both author Thomas Harris’ prequel (and fourth novel featuring Hannibal) and the subsequent film version. But what’s so impressive about “Secondo” is it allows the show to take us back into Lecter’s past, back to his origin, but refuses to give the audience, or Hannibal, an easy out. Hannibal was never a victim. He was always in control. So thoroughly in control, in fact, that he’s used this explanation of his tragic childhood to control the lives of others, namely that of Chiyo (Tao Okamoto) who has been confined to Lecter’s Lithuanian manse precisely because she does not want to become what Hannibal has predicted she will be: a murderer. He’s told her that her gaunt prisoner murdered and ate his sister, Mischa. We as an audience know that’s not true — Bedelia tells us so soon after. Will may have gone to Lithuania to hunt for clues about Hannibal, but what he gets is an ally, albeit a reluctant one. Like “Primavera” demonstrated — and as it seems to me is the theme of these first three episodes —once again Will and Hannibal seem to be on congruent journeys. They each have conscripted a partner who is in their company not necessarily because they want to be, but because they have to be. 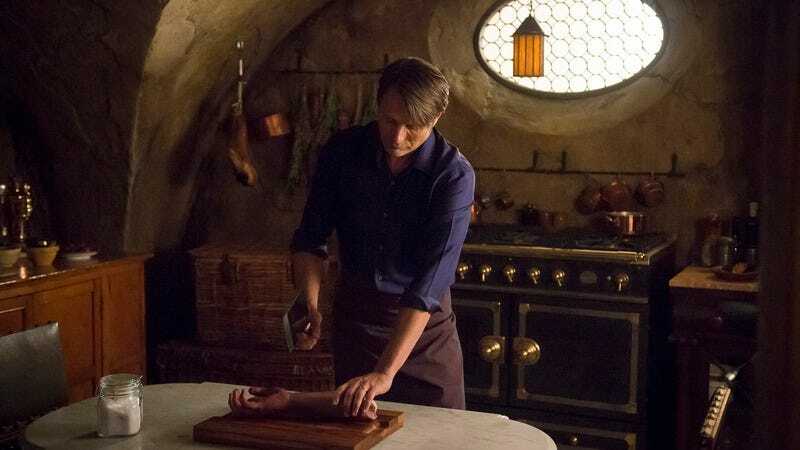 Hannibal stabs the irritating houseguest in the temple with the same ice pick he was using to make cocktails, but, as Hannibal reminds her, it’s technically Bedelia who killed the professor. She kills him out of a sense of what is right. He is suffering and she ends that suffering. Hannibal forced her hand. In this way, she goes from observer to participator. Similarly, Will does the same thing to Chiyo. By releasing the bearded, he forces her to kill out of self defense. She too goes from observer of horror to one participating in them (Will even goes so far as to design the bearded man’s body in an elaborate way, just as Hannibal would as well). Recommended reading for this week: A.V. Club contributor Libby Hill penned a great piece for the New York Times about the use of music, which was particularly great in this episode. Lithuania looked intensely beautiful in this episode. Kind of like some old British horror flick, all bathed in blues and lots of fog. Aw, hey! Jack’s back. It is so odd to see Laurence Fishburne back as Jack (complete with scars) after watching him all season on Black-ish.